For nearly all personality types, experiencing life as meaningful is almost a given, as meaning is derived from a number of sources (e.g., religion, work, family, etc.). 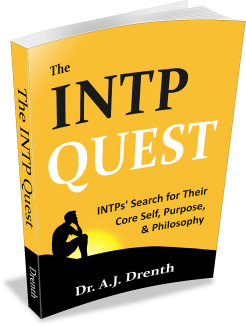 However, for one personality type—the INTP—an enduring sense of meaning and purpose is harder to come by. Consequently, INTPs can easily fall prey to cynicism or nihilism, the sense that life is ultimately meaningless or absurd. 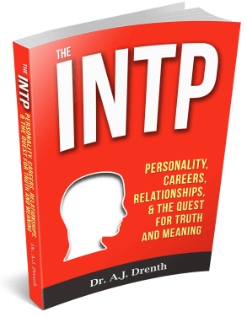 INTPs’ meaning issues can be traced back to two main sources. The first is the fact that many INTPs feel that little, if anything, can be known with absolute certainty. As discussed in my book, The INTP Quest, many INTPs eventually reject traditional religion / theologies as intellectually untenable. It’s not that INTPs don’t want to find something to believe in. To the contrary, many spend their lives searching for a bulletproof source of truth and meaning. Despite their good intentions, the skeptical and doubting nature of their mind usually manages to find some problem with nearly any theory or belief system. Thus, when it comes to meaning, INTPs are in many ways their own worst enemies. Eventually, this compels them to explore ways of circumventing their own doubt, of outsmarting themselves if you will, in hopes of reaching a place of conviction and certainty. They know that where there is conviction, there is apt to be a deep sense of truth, meaning, and purpose. The second contributor to INTPs’ meaning problem is their relative deficit of feeling. This is well explained typologically. Namely, because thinking (T) and feeling (F) are dichotomous opposites, INTPs’ status as dominant thinkers means their feeling function will be repressed. Put differently, if thinking (Ti) is their most conscious and accessible function, their feeling function (Fe) will be least conscious and accessible. This disconnectedness from the world of feeling is easily confirmed in the INTP’s own experience, which includes being estranged from a deep sense of value and meaning. Indeed, INTPs often fail to experience meaning in situations where other types find it bountiful. This paucity can engender a sense of emptiness, boredom, and restlessness in INTP, urging them to escape into their own minds and search for meaning abstractly. They sense that if they can just clarify their self-identity and/or philosophy of life that a cascade of meaning and purpose would ensue. In other words, they feel that finding the right conceptual lens will render all of their experiences more meaningful. Exploration & Creativity: A Possible Solution for the INTP? Although Dostoevsky was not an INTP but an INFP, the path to typological integration is in many respects very similar for these two types. As discussed in my post, INTP vs. INFP, the optimal path to growth for INPs runs through their auxiliary function, Extraverted Intuition (Ne). In conjunction with their tertiary function, Introverted Sensing (Si), Ne helps bridge INPs’ T and F functions. It is largely through exploration and creativity (Ne) that INPs can experience the sense of integration they are seeking. But what about motivation? Where can INTPs find the motivation to explore and create? After all, creation for its own sake is bound to seem pointless to the INTP. Doesn’t there need to be some overarching reason or purpose for exploring and creating? And if the INTP has concluded that life is absurd, doesn’t this negate any reason for doing anything? This is the problem that existentialist thinkers (e.g., Camus, Nietzsche, Sartre), many of whom were atheists, agnostics, or absurdists, set out to solve. They ventured to cultivate meaning in a world they saw as bereft of pre-given meaning. For the existentialist, meaning is not an objective thing to be discovered, but something that must be cultivated subjectively by the individual. This leads us to another common INTP issue: INTPs have a strong need to link truth (T) and meaning (F), but if they were to adopt a subjective approach to meaning, must they do the same with respect to truth? Is it realistic to believe that their problems could be solved through the creation of some sort of subjective fantasy world completely divorced from external reality? While INTPs typically consider this an unsatisfactory solution, striving for objective certainty doesn’t really seem tenable either, as INTPs are naturally dubious of the human mind’s ability to achieve an unbiased / objective view of reality (see Kant’s Critique of Pure Reason for more on this). Thus, the key for INTPs would seem to involve finding the “sweet spot” between the subjective and the objective approach to truth. Typologically, this means finding the proper balance between their Ti (which, like Fi, is a subjective function) and Fe (which, like Te, is an objective function). We’ve already touched on how this can be accomplished. Namely, INTPs must employ Ne and Si to form a bridge between their Ti and Fe (i.e., Ti-Ne-Si-Fe). If INTPs can find the optimal means and context for exploring / creating (Ne) in combination with recollecting (Si), then their Ti and Fe, at least in theory, will become better integrated. However, if these bridge functions are not adequately incorporated, Ti and Fe will remain divided and at odds with each other. 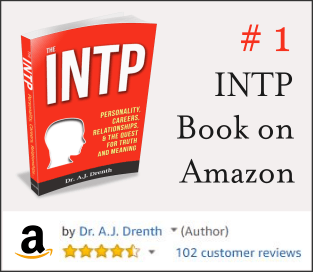 This approach can be applied to INTP careers, as well as their relationships. Career wise, INTPs must find work that affords them plenty of autonomy (Ti) and freedom to explore / create (Ne) in a meaningful (Fe) way. 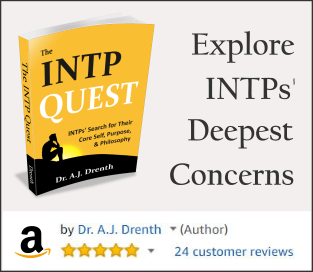 Similarly, INTPs are best off in partnerships where they can regularly explore and discuss their ideas (Ne), thereby bridging the gap between their inner world (Ti) and their need for love and connection (Fe). “if they were to adopt a subjective approach to meaning, must they do the same with respect to truth?” Yes. Both truth and meaning are particular to the individual. I’ve gone some distance in integrating Ti and Fe, perhaps through Ne and Si but finding motivation is still incredibly difficult. Trusting myself (all my functions) is my biggest hurdle especially in the current know-nothing environment. Questioning authority is more important than ever, even oneself. In my journey I found that the missing link was Si, in two ways. One, initially when needing to sift through the myriad ideas I wanted to pursue (Ne) it was Si that came to the rescue, using my past experience to winnow them down to something concrete and actionable. The second part was developing the _detail orientation_ of Si to actually _implement_ my goals. 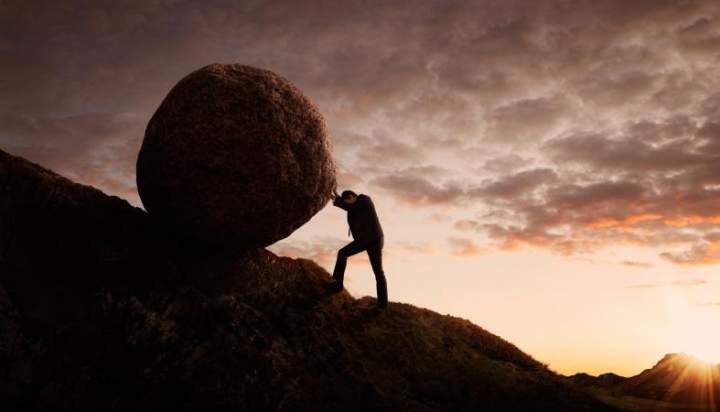 Ne wasn’t a problem – being relatively conscious and well developed the problem with it is more about letting it not get out of control, rather than using it as a bridge. Likewise Ti and Fe, being in some kind of locked opposition, are both active in their own, different ways. 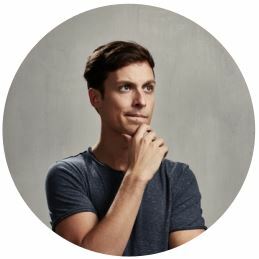 But Si turned out to be the key ability that was needed to both find enough focus, and to execute creatively on a day-to-day basis. Consider that most or all creative activities require a great deal of work – painting the canvas, writing the words, the code or the blueprint. The struggle for the INTP (once they know what they want to do) is to actually _do it_. The only facility they have for this is Si, and in my experience it’s the least developed function in this way. But if an INTP can develop the work detailed oriented nature of Si in themselves, they can accomplish a great deal on their path. And here’s where we get to the four hour rule of creative work. This is the observation that creative people historically have only done about 4 hours a day of work (see “Rest” by Alex Soojung-Kim Pang for explanation). In my work it’s not the problem solving (Ti), ideation (Ne) or end user visualization (Fe), but the detail work (Si) to get there. In this way I find Si the bridge, or perhaps Transcendent function, needed to tie it all together. Your comment resonated a lot with me. I wonder if you could give me some much needed advice? I’m very good at employing my Si for certain Fe goals, in activities such as cooking, cleaning, taking care of my child. I routinely do certain chores to keep on top of it, as i know this is a huge factor in maintaining harmony between my ISFJ partner and I. However, I’d like to develop my Ne, and for a very long time, I’ve been considering blogging, and I really want to do it and commit to it, but somehow cant bring myself to start. In what way/s do you think I can employ my Si to help me accomplish my goal? If you would like to improve your knowledge simply keep visiting this web site and be updated with the hottest news posted here.